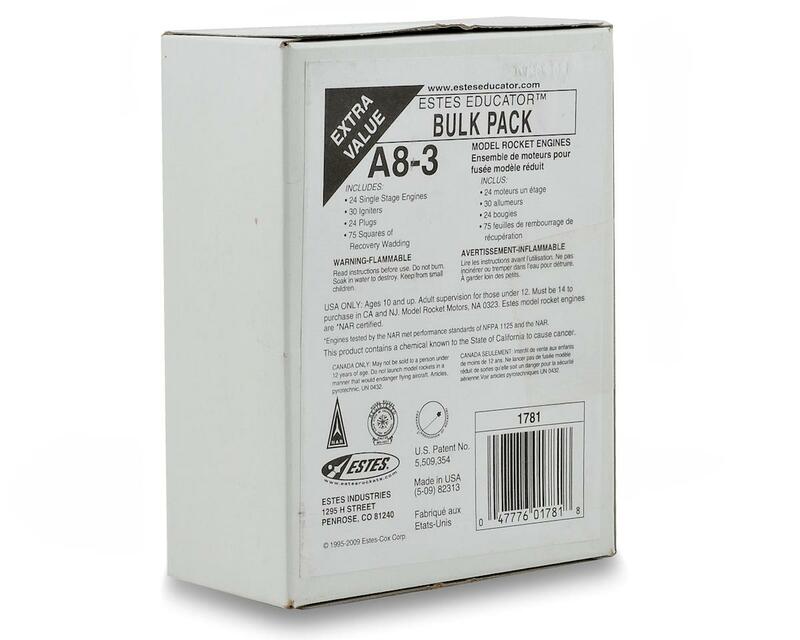 This is the Estes A8-3 Engine Educator Pack. Estes offers several rocket engine bulk packs in four total impulse ranges. These packs may be used with the rockets listed on our Web Site or other Estes rockets. The description of each kit lists recommended engines. Select your engines based on these recommendations. 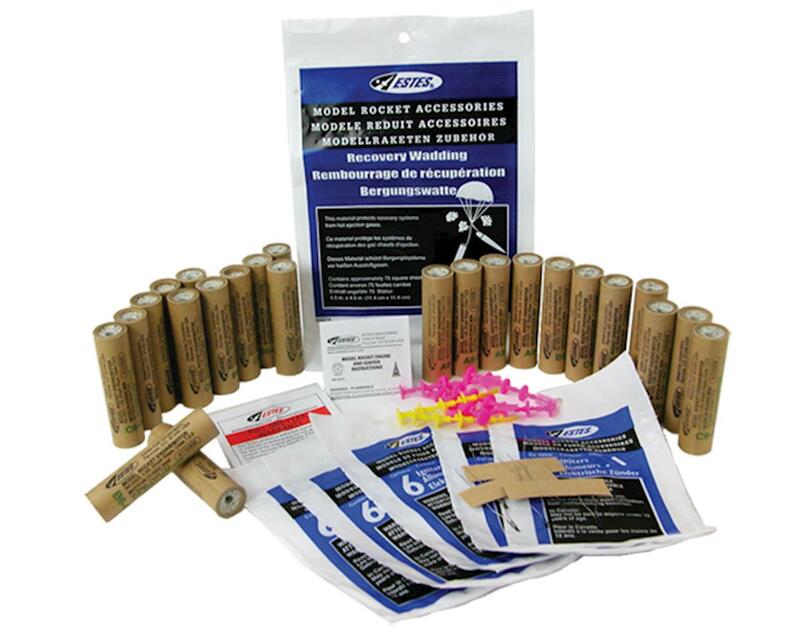 Bulk packs are convenient and include everything your students will need to prepare their rockets for flights. (75) - 4.5 in. (11.4 cm) squares of recovery wadding, enough for approximately 25 launches.